Toyota Sienna Repair & Service - A+ Japanese Auto Repair, Inc.
We have many clients that drive there Toyota Sienna mini vans well into the 250K-300K mile range by performing regular maintenance with our expert Toyota repair & service technicians. 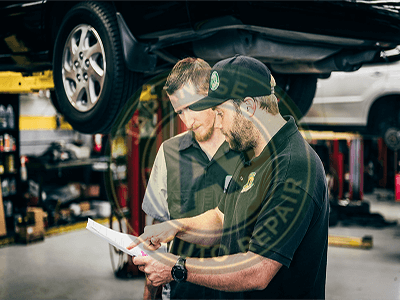 We emply ASE certified mechanics that have the proper tools and training to fix your Toyota Sienna or answer any questions you may have about repair and service. Stop by an meet our staff or contact us today for an appointment. The Toyota Sienna is a great minivan that we see quite often. Toyota has been refining the Sienna since it replaced the Previa minivan in 1997. Up until 2004 the Toyota Sienna was a smaller minivan than the other minivans in competed against. In 2004 Toyota increased the overall size of the sienna to help it compete with its competitors. Since 1997 many clients have been bringing in the Toyota Sienna for auto repair & service. The fact that Toyota decided to make a AWD (all wheel drive) option for the Sienna has also made this a popular vehicle for clients from our surrounding area. The AWD Toyota Sienna drives beautifully in the fresh Lake Tahoe snow. The Toyota Sienna grew in popularity between 2004-2010. The 2011 Sienna is the first Toyota Sienna to ever receive a “Top Safety Pick” from the IIHS. Due to this safety factor A+ Japanese Auto Repair Inc. has invested in tools and computers to service the new Toyota Sienna as we expect to see many of these at our car repair and service facility. The third generation Toyota Sienna is equipped with two power train options. The 3.5 liter (2GR-FE V6) and the 2.7 liter (1AR-FE L4). The ASE certified mechanics at our auto repair & service facility have had training and experience on both power trains making us “the best alternative to the Toyota Dealership”. We are also experts on the 6 speed automatic transmission that comes standard with both engine options. The 3rd generation Toyota Sienna also has many options for disabled people. If you have any questions regarding modifying your sienna for disabled persons contact A+ Japanese Auto Repair Inc. The Toyota Sienna & A+ Japanese Auto Repair Inc.
We are experts when it comes to Toyota Sienna Repair & Service. We started working on Toyota Sienna vehicles in early 1997. With numerous years of repairing the Toyota Sienna we are now known as the best alternative to the dealer for Toyota Sienna auto repair & service. A+ Japanese Auto Repair uses ASE Master Certified Auto Repair Mechanics and the same high quality parts as the dealership. We perform these auto repairs and services at a far better price than the dealership. We also offer a 24 month / 24,000 mile warranty on all auto repair and service performed on your Toyota Sienna.